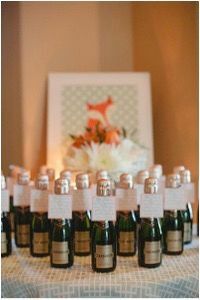 For a classy and chic place card and party favor in one, mini champagne bottles are always a hit. 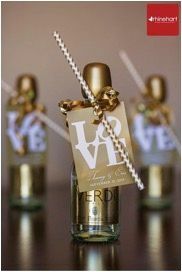 These are perfect for glamorous weddings, bachelorette parties or adult birthday parties. 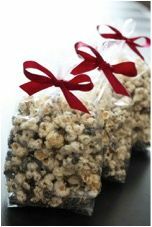 If you are having a girly event, like a bridal or baby shower, something pretty and useful makes a great favor. 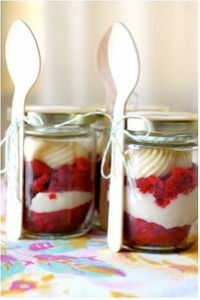 We love these pedicures in a jar and candles are always appreciated. You cannot go wrong with a dessert as your favor. 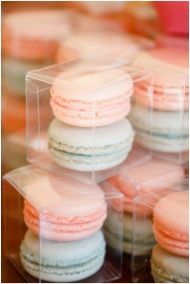 We love boxed macarons, mini cupcakes, personalized sugar cookies and delicate chocolates.